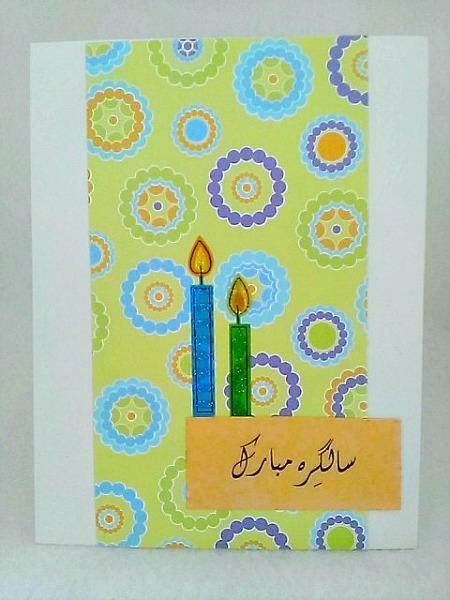 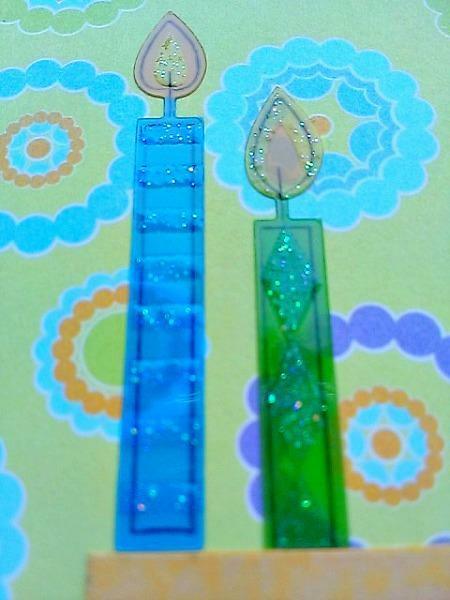 The two candles in this birthday card written in Urdu are made of vellum and glitter. 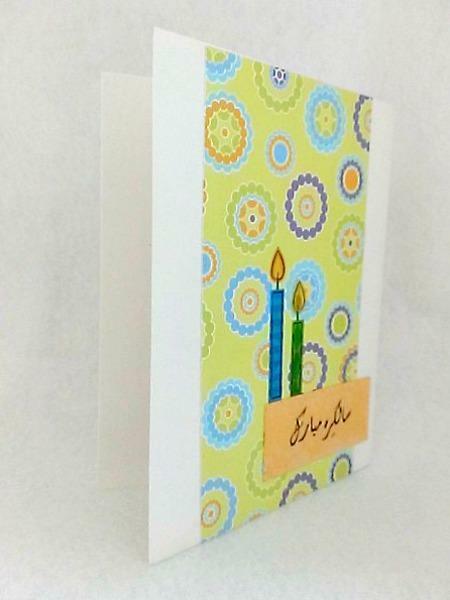 This allows the beautiful circular background underneath to show. 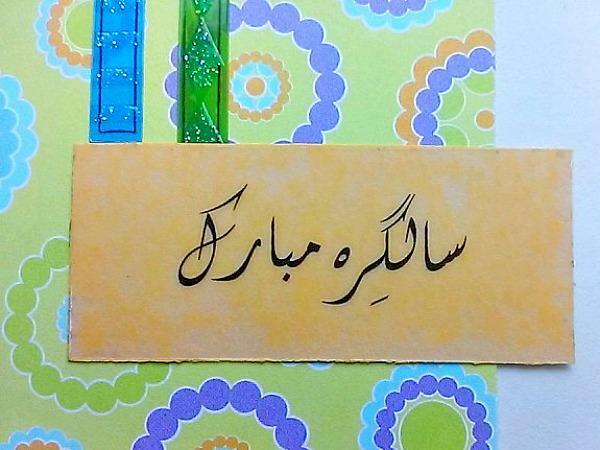 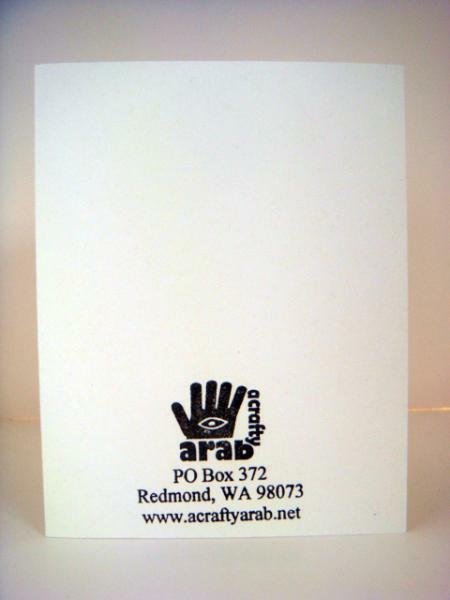 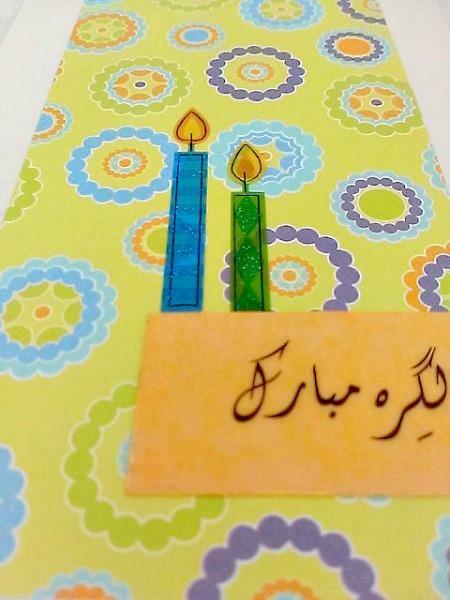 The greeting "salgirah mubarak" was added to vellum also and placed on orange cardstock.